Ladies and gentlemen, our three Crus! “In 2005 I hadn’t yet realized that a long, challenging, tiring and exciting journey was beginning. Desire by itself could do little or nothing. 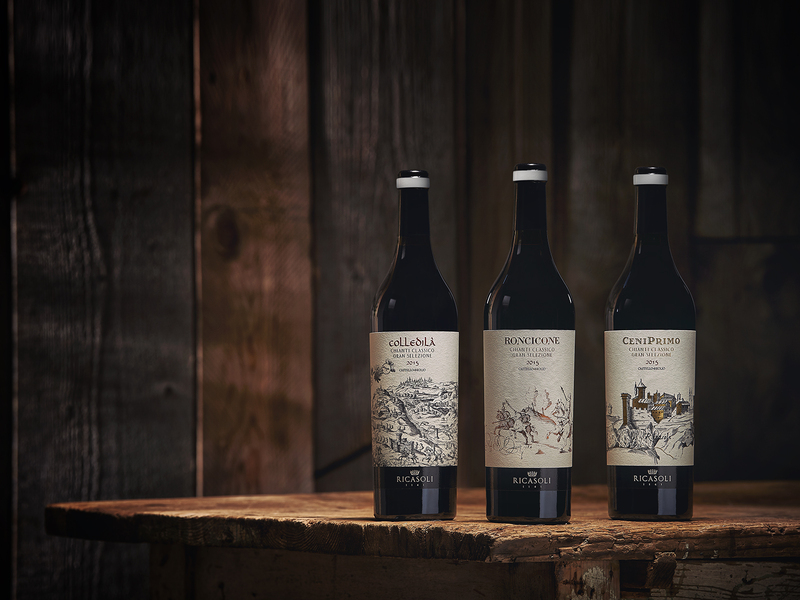 But desire, together with research, determination and above all a dream have transformed the vision into results: Sangiovese times 3, for (more than) 10 – which are the years – equals Colledilà, Roncicone and CeniPrimo. This is the summary Francesco Ricasoli provided of these ten years and more, which he likes to think of as a sort of dream with his eyes wide open. And like all pragmatists, he managed to bring this exciting dream to a result. The several vineyards yielded Sangiovese grapes with very marked and evident characteristics and differences. This immediately piqued the curiosity of Francesco Ricasoli, who is not one to ignore such information. His dedication to research led him to believe in a project, to believe it in so strongly that he was willing to invest time, energy and much more to arrive at the results we see today. Sangiovese, the grape that at Brolio feels so at home as to share all its facets, has revealed its different personalities over the years in the three soil types where the three vineyards are planted (three among the five most typical soil types at Brolio). These different personalities can be fully recognized in the three Sangiovese Crus. Zonation was among the first steps that had to be taken. Begun in 2008 in collaboration with the Italian Council for Research and Experimentation in Agriculture (CRA), zonation permitted a full soil study of these vineyards. Over three years of research, various characteristics were found and the reason for these differences were understood. Nothing could be left to chance, since the final product – the wine itself – had to be constantly at its best. It is important to listen to our hearts and desires, but the territory has to be fully understood in order to have products that are stable over time and expressions of ample research. This is the reason why, after beginning in 2005, we have just now bottled and presented the three Sangiovese Crus from the 2015 harvest, apart from the early presentation of the Colledilà. 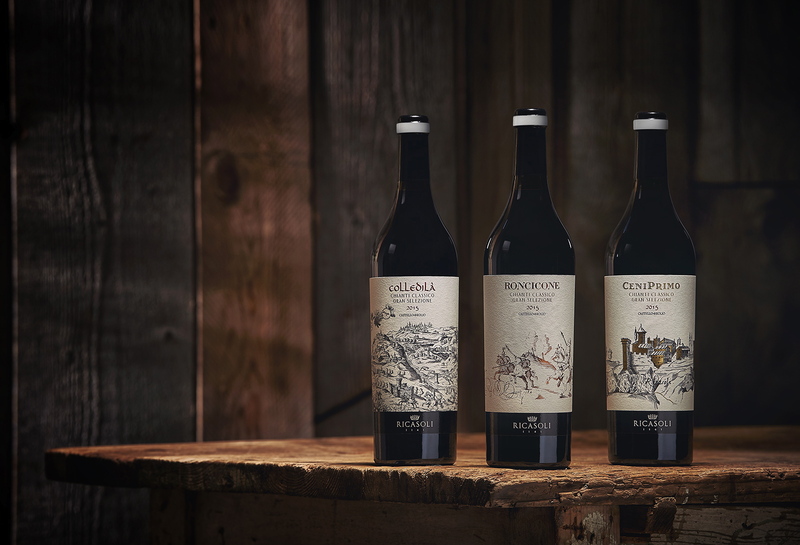 Colledilà, Roncicone, CeniPrimo: three Crus, three vineyards, three very elegant labels each bearing part of the great Ricasoli family tree from 1584, emphasizing the fact that they are three products of a single project, highlighting the continuity among the three wines. Three great personalities, three discoveries, three universes for which we are not going to divulge tasting notes, yet. Because now they will just have to be tasted!